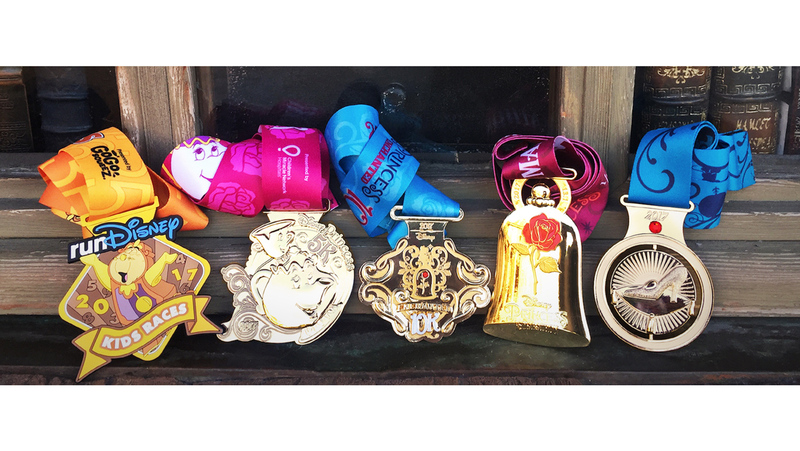 Have you seen the new medals for the upcoming runDisney Princess Half Marathon Weekend that takes place annually at the Walt Disney World Resort in Orlando, FL? I always love seeing how the medals change from year to year depending on what the theme is. It came as no surprise to me that Beauty and the Beast is taking over the popular race, especially with the new live-action film set to be released in March/2017. This is one of my all-time favorite movies and I am super excited about these medals! 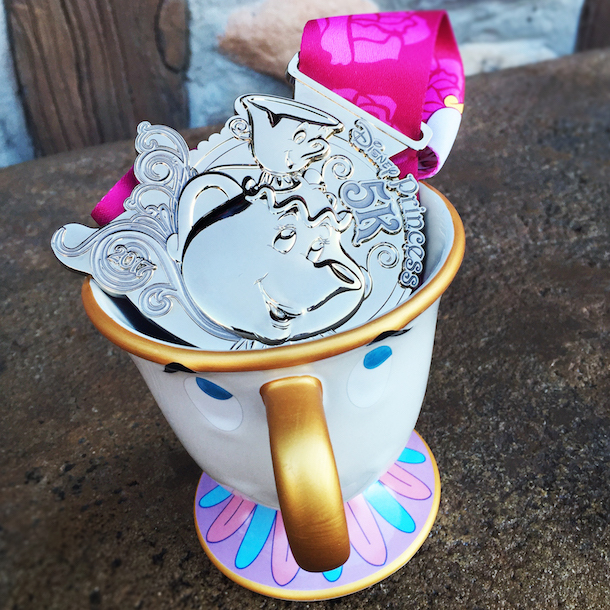 In fact, the Disney Princess 5K finishers will receive an actual metal medal and it’s gorgeous with Mrs. Potts and Chip featured. I have a finisher medallion that’s made of rubber from the Tangled 5K a few years ago, and while I do love it, this medal sort of sends me over the top! 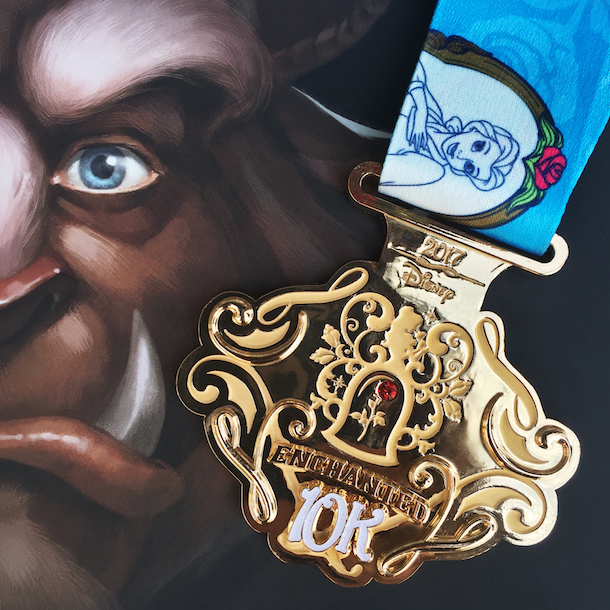 The Disney Princess Enchanted 10K medal is also beautiful and features the Enchanted Rose from the West Wing in Beast’s Castle. 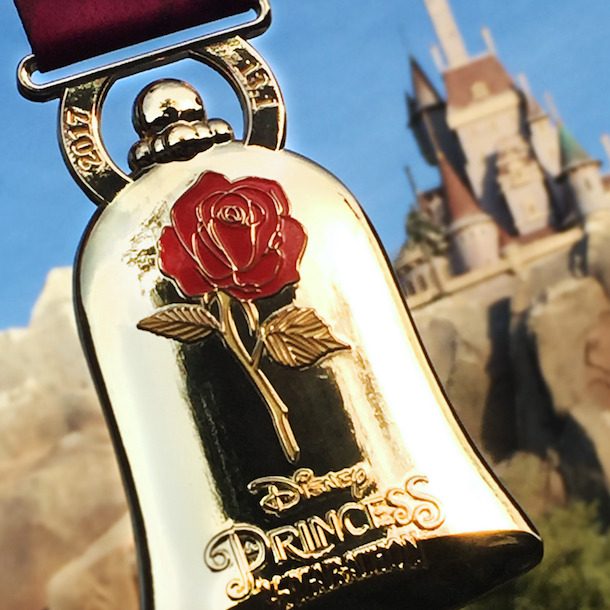 Those folks who run the Princess Half Marathon will receive a medal that also features the Enchanted Rose with a gold-tone background in the shape of the glass dome that covers the rose. Love these details! Adventurous runners who complete both the Disney Princess Enchanted 10K followed by the Disney Princess Half Marathon the next day will have completed 19.3 miles in the Disney Glass Slipper Challenge and will not only receive each medal for those individual races, but they’ll receive this gorgeous medal in addition for a total of three medals. 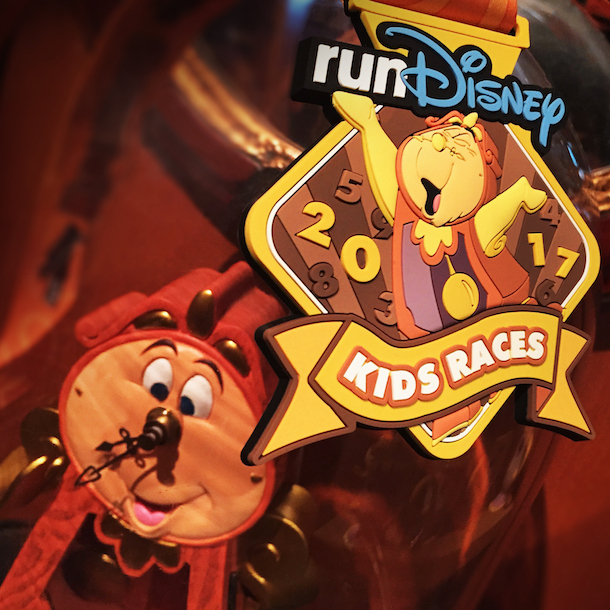 Your kiddos will certainly not feel left out during this great weekend of marathons as the runDisney Kids Races presented by GoGo squeeZ® Applesauce on the Go has a great finisher medallion that features Cogsworth. 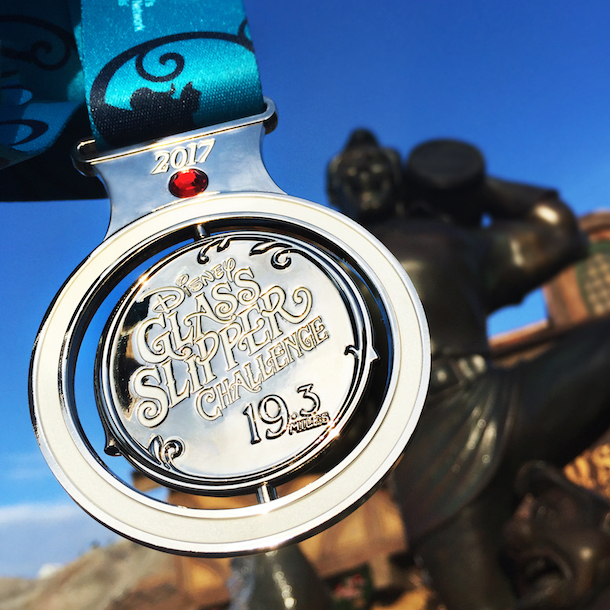 This runDisney Princess Half Marathon Weekend takes place February 23-26, 2017 at the Walt Disney World Resort in Orlando, Florida. To chat and plan with others who are attending Princess Half Marathon, come join in the discussion on DISboards.com.